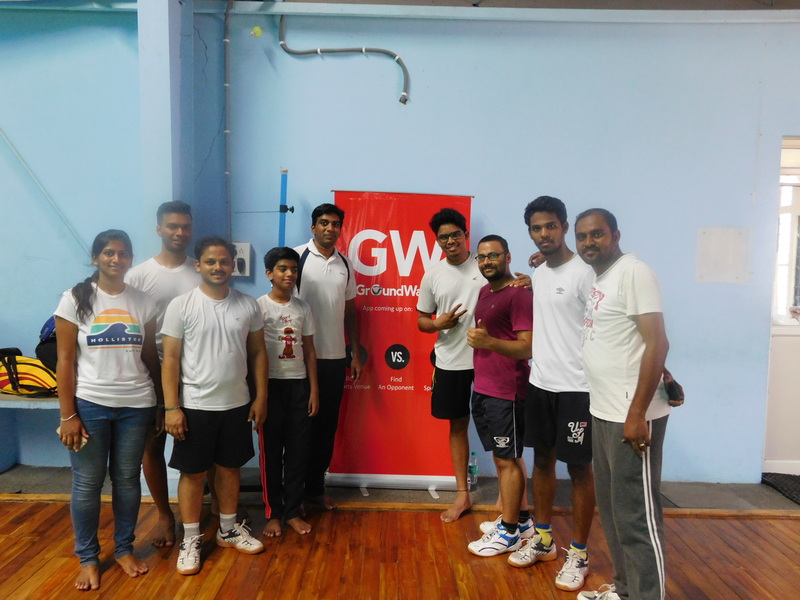 The last working day of April 2016 was a sporty day for all corporates. It was a day of excitement and fun for all those who work hard throughout the week. 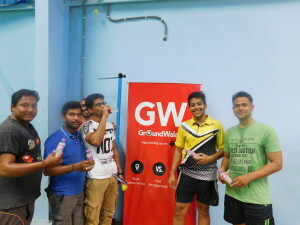 Groundwala.in had it all set for all those corporate badminton enthusiasts to come and show their sportsmanship on the ground. corporate players a weekend sports outing on an otherwise yet another lazy weekend. The tournament got decent response considering the fact that it was Groundwala’s inaugural badminton tournament. The online registration platform of Groundwala made life easier for participants prior to the event. 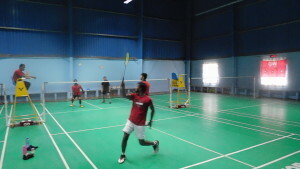 The venue booked for the day was Spardha Badminton Academy at Shaikpet and the players were instructed to report at least 30 minutes before the schedules time of the matches. Nearly 100 badminton enthusiasts from different fields and different unrelated sectors came forward. 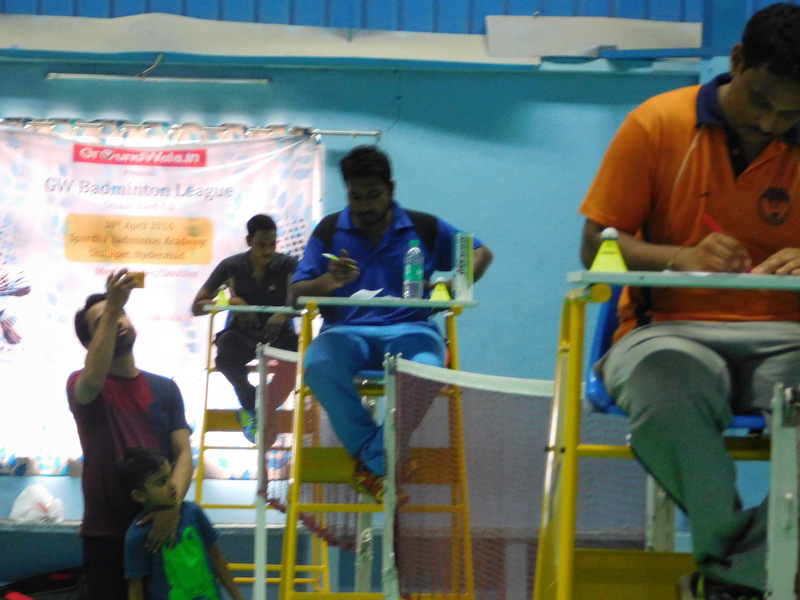 Employees of MNCs includingInfosys, Microsoft, Novartis etc turned up to the venue for the quest of Badminton championship in Men’s Singles & doubles category. The event had 21 matches played in little over 5 hours on 3 different courts in the academy. 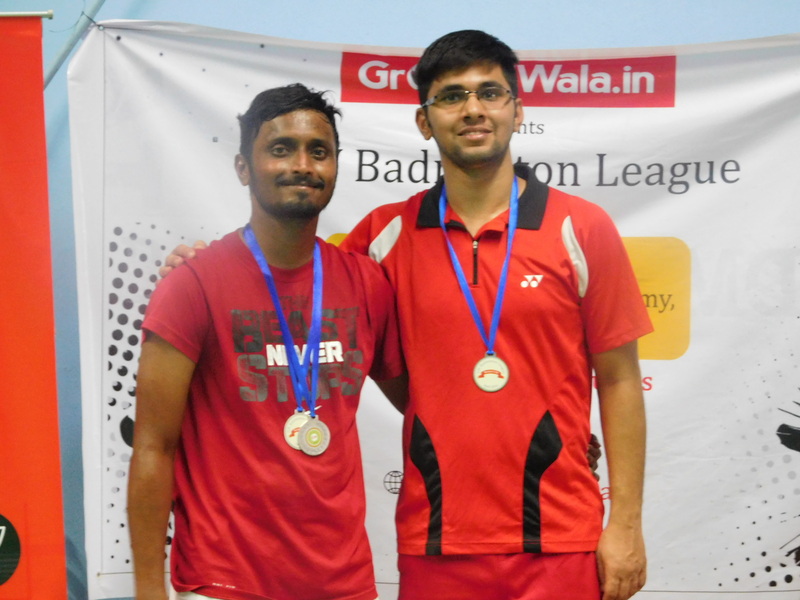 The matches were so intense and high in competition that almost 70% of the matches went on to the third set of points to declare the winner. The finalist of all the matches, played 7 matches in total (of 3 sets) in just 5 hours though the temperature had no mercy on the players. It was indeed a great exhibition of endurance level and sportsman spirit. In the category of singles Ganesh clinched the title and Anil from Microsoft stood as the runner up. 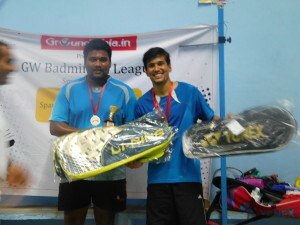 In Doubles category Ganesh, this time along with his partner Manish stood first. This duo team is from Winwire technologies. 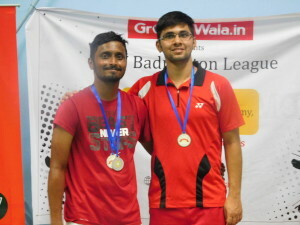 Anil and Adarsh bagged the runners up title in the category of doubles. This was the very first attempt of Groundwala to come up with a sport that is little ignored when compared to major sport events like cricket and football. The participants had a great time with exhilarating session of badminton and the drinks partners Bisleri made sure that participants remain hydrated all throughout the event. The attendees of the event went back home asking organisers when is your next event and requested to plan it bigger next time with inclusion of women’s participation. 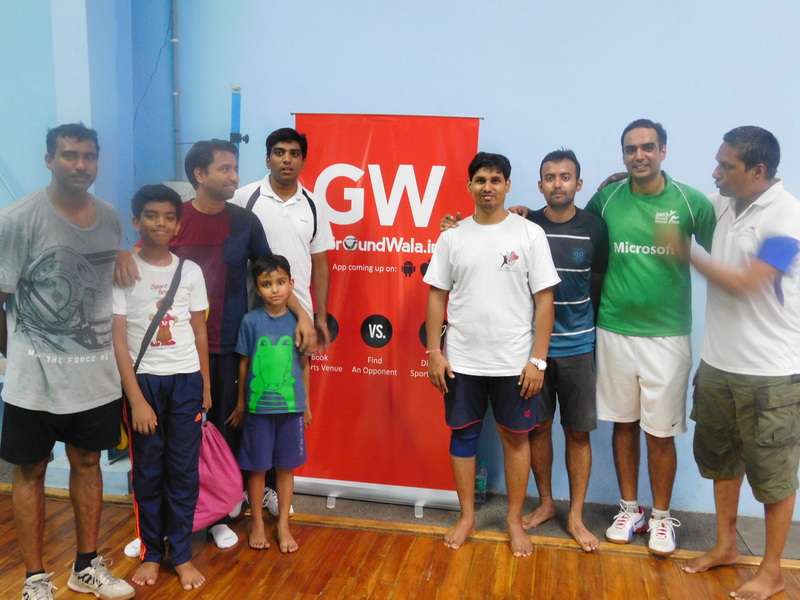 Do check video highlights of matches on Groundwala FB page.